Cryptocurrencies are on the move following the successful split of Bitcoin’s blockchain. The split, a user activated fork, was feared to spell doom for Bitcoin and the crypto currency asset class but in reality has helped solidify its public acceptance. Since the split not one but two currencies have risen to reach astronomical all time highs and from the looks of things more are on the way. What happened to Bitcoin? Well, Bitcoin supporters were trying to fix a problem with the coin. The system was originally constructed with a maximum size of block. The block being the same block as mentioned in the term block-chain and representing a finite number of Bitcoin transactions. The problem is, or was, that the original capacity was too small. The Bitcoin system has been maxed out for years and is the root cause for slow confirmations of BTC transactions. The solution was easy to come up with but not easy to implement. Making the size of the blocks larger immediately increases capacity within the system with one fatal flaw; it was not backward compatible. That is, it would not accept the old blocks and in effect cause a split in the chain and possibly undermine its integrity. A harder solution included making block sizes larger for those who wished to do so with the added ability to integrate the old Bitcoin block size. This is the solution that the “mainstream” BTC network chose and what is now what we call Bitcoin. It is the old block-chain integrated into the new system. BCC or BCH, Bitcoin Cash, is the split. When the portion of Bitcoin network supporters who did not want to integrate the harder upgrade, known as Segwit, regused to comply they caused a split. A hard fork in the road. What happened of course is that instead of the system breaking down the split was clean, two new block-chains were created with integrity intact. What also happened and to the joy of Bitcoin owners is that anyone with a Bitcoin before August 1st 2017 had an equal amount of Bitcoin Cash in their wallets from that day forward. Assuming of course that the wallet provider was set up and honest enough to pass those gains along to the Bitcoin owning public. Bitcoin, as I am sure you are aware, made its break to new highs shortly following the split. The ease with which the split occurred, the fact that transactions were not impeded in the manner first feared and the creation of new wealth went a long way towards easing investor fears and attracting new money. BTC began to move higher within days of the split and rose to a peak 57% above the pre-split price. The coin is now trading and consolidating above $4,000 and likely to move higher. The post-split run up constitutes a break-out of long term consolidation, the consolidation above $4,000 a continuation pattern with upside potential of $1,600 in the near to short term. Using the simple technical technique of projecting the magnitude of the August rally from the point of near term support/consolidation gives a target near $5,600 once the upward move resumes. Bitcoin Cash began its life trading at $800. This lasted about a half a week before falling roughly 75% to trade near $200. After 2 weeks trading and consolidating at these lows the coin began to move higher as recently as last week and now testing resistance at the all time highs. Why? Because of two things. The first is that Bitcoin itself has survived the split, the second is that Bitcoin Cash has survived the split. If BCC has survived and it is the same as BTC than it should trade like BTC, right? A look at the chart shows BCC is consolidating just beneath the all time high near $900 and preparing for a move higher. A break above the all time would be bullish and could take the coin as high as $1200 and $1500 in the near to short term. Bitconnect Coin, also branded BCC and causing some confusion for traders, is another crypto currency and also doing quite well. The currency differentiates itself by paying its holders a dividend in reward for supporting system. This coin trades near $3000 and has spiked as high as $4000 in recent weeks. The caveat is that it is less used, less popular and thinly traded making it a secondary choice from the traders perspective. If Bitcoin Cash is the next Bitcoin then Ethereum is the next generation of block-chain technology. Where Bitcoin is able to handle point to point financial transactions Ethereum is intended to handle smart contracts and could, theoretically, become the currency of choice for complex financial transactions. If Bitcoin is a telephone then Ethereum is the latest generation smart phone. The best thing about it is that it is still trading at a price reasonable for average investors, and trading under strong volume with upward momentum. The currency was released less than 2 years ago and hit a peak near $400 just a month past. Since then it has corrected but found strong support, bottomed, bounced and has begun to move higher. Over the past month the ETH/USD has moved sideways within the correction range and consolidating below the $320 resistance level. Today saw an influx of buyers, new money and those cashing out of BTC and into ETH, which pushed prices up to resistance and broke through. Now that prices are on the move a retest of the current all time high is probable and a new all time is likely. On a technical basis the moves is a break-out from near term consolidation within an uptrend. Now that the break-out is on we can use the consolidation, the up trend and a few other key technical levels to predict upside targets. The first target has already been reached. The consolidation itself, between $280 and $320, carries a magnitude of $40; the break-out candle hit resistance near $340-$345, roughly $40 above the previous day’s close. Projecting this magnitude above the top of the range gives a target of $360. The $360 level looks likely in the near term, possibly this week, and is confirmed by additional projections. Projecting the magnitude of the flagpole, the rally leading up to today’s break out, gives targets at $360, $400 and $420 depending on how you take the measurement. The conservative method is from support to support, from $300 to $380, while a more aggressive methods may be from support to the peak of $320. Once these targets are reached upside potential grows exponentially. As the value of the currency increases so to will the value of the platform and the two will continue to grow together indefinitely. How is Litecoin different to Bitcoin? Why Binary Options broker OptionFair shuts down? Is the binary options broker Boss Capital scam or reliable? Is Optionbit Scam or reliable? Binary Options and Forex/CFD carry a high level of risk to your capital due to the volatility in the underlying market. These products may not be suitable for all investors. Therefore, you should ensure that you understand the risks and seek advice from an independent and suitably licensed financial advisor. What Makes a Great Trader? How to trade FX Options? Why Does Your Trading Differ on the Real and Demo Balances? Salwa on Deposits and withdrawals of funds with the Binomo broker. 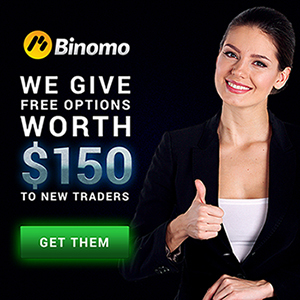 M Adam on How to trade on the Binomo mobile application? 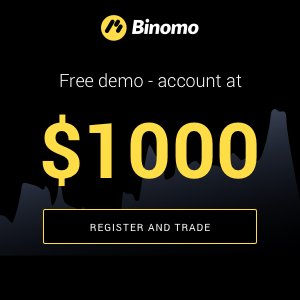 Trader on Deposits and withdrawals of funds with the Binomo broker.